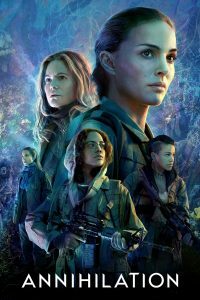 Annihilation is a 2018 science fiction horror film written and directed by Alex Garland, based on the novel of the same name by Jeff VanderMeer. It stars Natalie Portman, Jennifer Jason Leigh, Gina Rodriguez, Tessa Thompson, Tuva Novotny, and Oscar Isaac. If you want another book on adventures for the sake of science and the mysteries it can bring, check out these suggestions. Rachel is a scavenger who roams a bleak landscape of a nameless city, looking for biotech scraps and tossed out experiments done by the mysterious Company. On one outing, she discovers a blob of energy that she cannot identify as a plant, animal, or machine. Bringing it home to her lover Wick, she names it Borne, and she grows quickly attached. But Wick doesn't trust Borne as much as Rachel does - especially when it starts experiencing more complex transformations. Hippolyte Webb, a modern-day explorer, and natural historian sets his sights on the Auroras, a group of islands in the middle of the South Atlantic. His destination may not seem that unusual - except these islands were last spotted 200 years ago. Seven years ago, the Atagaris set off on a voyage to the Mariana Trench to film a "mockumentary" bringing ancient sea creatures - such as the Giant Squid - to life. But it was mysteriously lost at sea, including everyone on board. Now, a new crew has been assembled, but this time, no mockumentary is happening - this time, it's about seeking the truth. Edward Prendick, the single survivor from a shipwreck, is rescued by a vessel carrying unusual cargo - a group of savage animals. Soon, Prendick finds himself stranded on an island in the Pacific, where he meets Dr. Moreau, a brilliant scientist whose controversial and dangerous experiments have caused him to abandon civilization. A researcher at a pharmaceutical company, Marina Singh journeys into the heart of the Amazonian delta to check on a field team that has been silent for two years - a dangerous assignment that forces Marina to confront the ghosts of her past. View more suggestions for Annihilation.